Were he alive today, Jean Sibelius would celebrate his 150th birthday on Tuesday 8 December this year, which seems quite a good excuse for an all Sibelius bill, not that any excuse is needed. 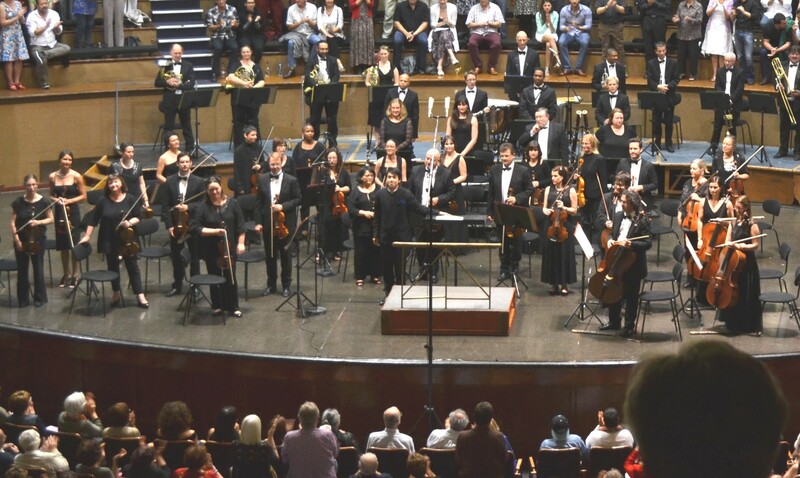 I was delighted by the selection, as were many other back-seat conductors I noticed sitting in the balcony. The overture had the feeling of a show-piece, demonstrating a dramatic contrast in dynamics and tempo. The composer’s beloved brass section was very much in the spotlight for the evening, beginning with their clearly spoken entry and slightly terrifying swells. The tempo in the first section was sober and respectful, almost funereal, forming a stark comparison to the second section which I felt was more pacey than usual, making for a more exciting overall effect. The winds were gorgeous, perfectly synchronised and beautifully phrased. The violins fabricated a seamless immaculate misty lake, into which the soloist floated, her graceful right arm seeming to defy gravity, and such a warm resonance coming from her instrument. Her interpretation was quite unique, with unusual emphasis in the arpeggios and an appropriate lilt in her rhythm. The virtuosic Paganini caprice no. 24 encore impressively demonstrated her ability and technical skill. Book now for next Thursday: Maestro Bernhard Gueller returns! 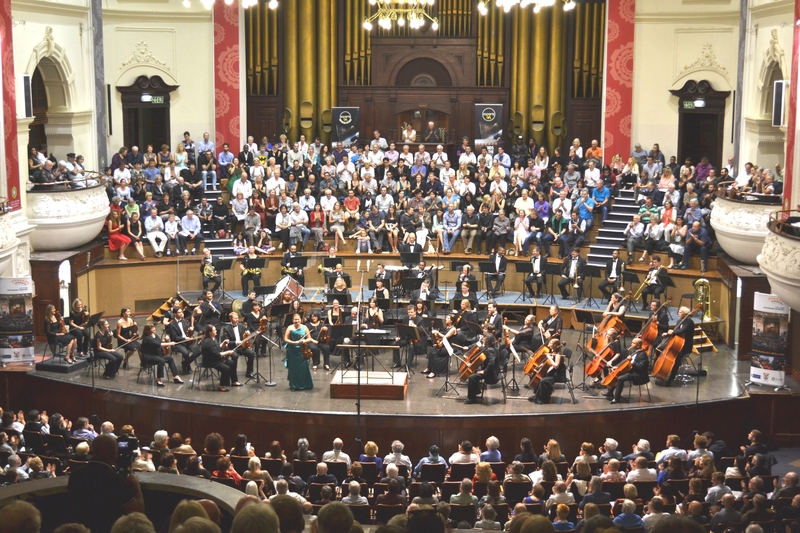 This entry was posted in Classical Music Review, Concert Review and tagged #AndyWilding, #ClassicalReview, #ConcertReview, cape town philharmonic orchestra, CPO, CTPO, Maria Solozobova, Perry So. Bookmark the permalink.